This month Paper Pumpkin is so cute! We can make 24 boxes. Kits included everything, you only need glue and scissors. 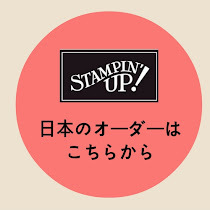 January kit has above stamp set, Melon Mambo ink pad and a lot hears. I usually stamp wards first. This design is almost same as kit sample. But you don't have to make same as sample, you can use own design, too. 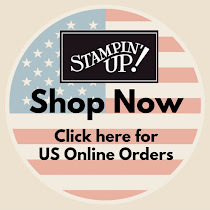 Stampin Up has Sale-a-bration(SAB) sale during January through March and you can get free products every $50 or $100. It's good time to start Paper Pumpkin. #137859 3 month paper pumpkin $57.00 + 1 level 1 SAB products free. #137860 6 month paper pumpkin $108.00( save $1.00 per month) + 2 level 1or 1 level 2 SAB free. #137861 12 month paper pumpkin $209.00 (save $2.00 per month) + 4 level 1 or 2 level 2 SAB free. テーマ画像の作成者: billnoll さん. Powered by Blogger.